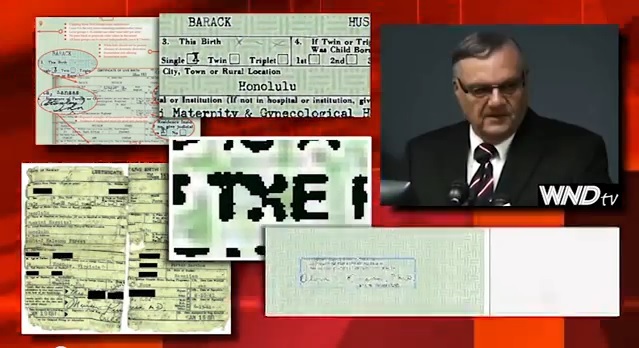 Arpaio promises to release criminal evidence. Assume charges may be lodged against those who have covered up evidence and conspired to obstruct an investigation into Obama’s birth circumstances. A criminal charge against lower level conspirators would probably not face the obstacles in court that challenges of Obama’s eligibility have experienced. After dozens of attempts by various parties, the courts have not been willing to recognize that they have jurisdiction. It was pointed in the last decision by the Alabama Supreme Court that the impeachment process is available as a means of deciding the issue of Obama’s eligibility, which is what Arpaio has been saying all along that the issue needs to be brought before Congress. This means that eligibility is primarily a political issue and massive public support, including street protests, is necessary to motivate Congress to investigate Obama’s lack of eligibility and the associated frauds and obstructions committed in the coverup of his ineligibility.